How does social media affect (or reflect) the basic ways in which we understand ourselves and others? One question seems to resurface again and again and that is whether the development of “Web 2.0” is changing us in some way, or whether it is simply a technological development in which the same old psychological traits express themselves differently. There are a variety of psychological concepts that we can examine with regard to their relationship to social media, but in this blog post, I will concentrate on two: the ego and the self. Before defining these terms, it’s important to have a quick look at why we are asking these questions in the first place. 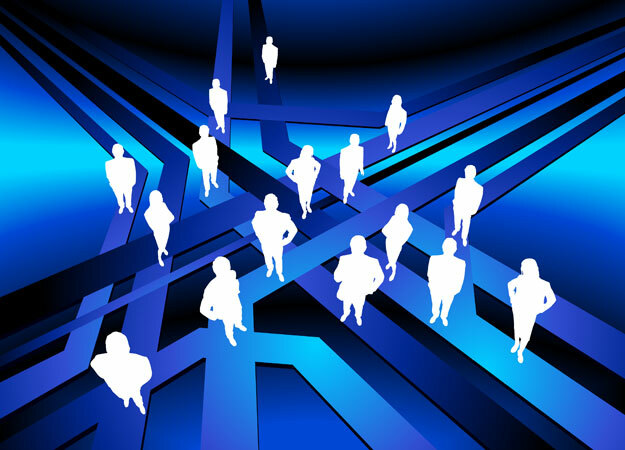 Social media has penetrated into the social and interpersonal lives our connected-up society rapidly and continues to grow. Facebook alone reports that it has more than 800 million active users. Unsubstantiated reports across Twitter inform me that it is fast approaching one billion. According to the website internetworldstats Internet use is just over 2 billion (just over 30% of the population), which means that for those in the world who are accessing the Internet, those using Facebook alone is approaching half of all Internet users. 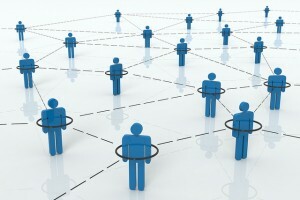 There must be something very compelling about social networking to achieve such rapid growth and population penetration. Psychology has long been interested in what motivates people. The idea is that if we can understand primary human motivation, we can better understand the choices that we make. The concept of what lay behind human motivation has changed a great deal over time: and continues to be hotly debated. Though there continue to be debates in psychodynamic theory, most psychodynamic clinicians and theorists believe that the drive to relate to others (and be related to) is a central human motivator; we are born with the will to relate to others, and this continues throughout life and is one of our most important (and complex) tasks. The phrase “social networking” itself contains the basic elements of relating and technology; the technology is the “network” and the social is the human bit. We use technology to do human things: to relate. So what do ego and self have to do with it? If we understand these terms with psychological precision, we will see that they are related, but different concepts. The word “self” is the wider concept, and is inclusive of everything that comes together to create a self; conscious and unconscious; body and mind; cognition, feelings, wishes, dreams, desires; both the mundane and the spiritual. The “ego” is more discrete. It is the part of us that identifies as “I” or “me” – it is the most conscious aspect of the self, our conscious “identity” how we understand ourselves; it is also the part of us that defends us from slights and hurts. It is what used to be called the homunculus — that is, like the little person who sits in our heads and peers out our eyes to experience the world, the part of me that feels like “me”. The ego is a small part of the much larger “self”, though it frequently likes to think it is more than it is – it likes to maintain beliefs about itself (either positive or negative ones: usually somewhat distorted ones). Freud’s conception of the ego continues to be a valid one, that its main job is to negotiate between our internal unconscious, and the external world; it tries to keep us safe, but not always in the most productive ways. What, then, is the connection between these psychological concepts and social media? My own thoughts on this matter continue to develop, but I am coming to believe that social media comes to the service of the ego (possibly at the expense of the self) and the ego interacts with the social network as an extension of the ways in which our individual egos negotiate the world in any case. The ego likes to maintain familiar patterns, and that’s not always in the service of the self. The self seeks recognition from others (full, honest, authentic, and non-judging recognition) – the ego, however, likes its recognition to be conditional upon its own expectations and desires. If we think of the ego as an estate agent, its three most important needs are “recognition, recognition, recognition.” When we think about social networking, we can see how well it is created in the service of recognition. Inclusions onto lists, groups, events, etc. These examples are really just the beginning (and notice how many of them rest upon simple numerics), but it is easy to see just what a cosy fit there is between the need for ego-recognition and the way in which social media can meet or deny it. Transactional Analysis has a wonderful term it uses for moments of ego recognition. They are called strokes; every time your ego receives recognition, it purrs just a little, as if it’s been stroked. The ego needs strokes to keep it going, and when it doesn’t get the strokes it thinks it needs, it can feel pretty bad. While strokes feel good, they can be trouble because strokes can only give very limited recognition. Young children work out very early how to get strokes from their parents – or to be more precise, their developing egos learn this. The ego, in its desire for recognition uses this knowledge to get more strokes from the parent, often developing what is called a “false self.” What might be called the “true” or “authentic” self (debatable concepts, of course), is in danger of being left unrecognised. Society is easily taken in by the false-self organisation, and has to pay heavily for this. The false self . . . though a successful defence, is not an aspect of health (33) . . . each person has a polite or socialized self, and also a personal private self that is not available except in intimacy. This is what is commonly found, and we could call it normal (66). I include this quote because it is important to recognise that a false-self is “normal” though it’s not always in the best service of the greater self because what becomes “recognised” is only a part of the whole, and that part is engineered in a particular way by the ego. To be clear, the argument I am making here supports one side of the question I posed at the start of this article, that is in this case at least, social networking appears to be operating on the same lines as anything else: simply another arena in which the ego can acquire recognition – falsely or authentically – in the same fashion that a given individual’s ego would work anyway in the absence of Web 2.0. However, I would take it one step further. The two dimensional way in which the ego can measure itself (on the number of likes, comments, followers, etc.) is open to a sort of “object abuse.” That is, the nature of the social network, in many ways, aids and abets a superficial way of judging both others and the self. From the perspective of the Digital Native, identity is not broken up into online and offline identities, or personal and social identities. Because these forms of identity exist simultaneously and are so closely linked to one another, Digital Natives almost never distinguish between the online and offline versions of themselves (20). I would take this one step further. The “identities” that Palfrey and Gasser are referring to, I would make a bit more precise, and call them “egos.” The online and offline egos are versions of something greater: they are aspects of the larger “self”. The fundamental question that I will be returning to is whether or not these versions of self, which I am calling ego – inhibit or enhance the development of authentic “selving”. Can Web 2.0 enable us better to be ourselves? Lanier opens his book You are not a Gadget with the proviso, “This book is not antitechnology in any sense. It is prohuman (ix).” I agree with his position wholeheartedly, which is why my continued research will continue to question the ways in which social networking can both inhibit and enhance the operation of the self, and not just the machinations of the ego. Lanier, J. (2011). You are not a Gadget. London: Penguin. Palfrey, J. And Gasser U. (2008). Born Digital; understanding the first generation of digital natives. New York: Basic Books. Winnicott, D.W. (1986). Home is Where we Start From: essays by a psychoanalyst. London: Penguin Books.